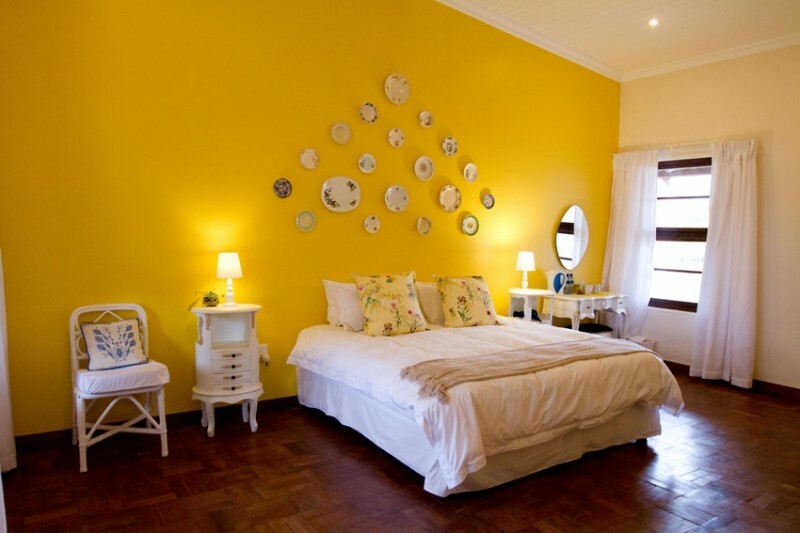 Rosemary Hill is situated on beautiful farmland just east of Pretoria. It is an organic working farm and has been in operation since 1978. 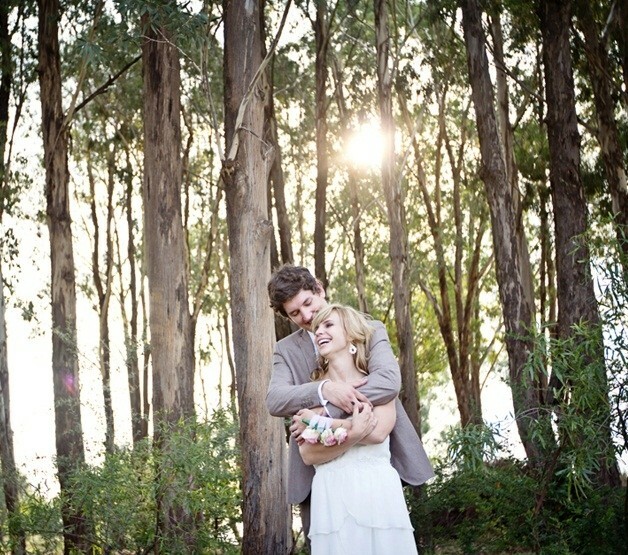 A Rosemary Hill Farm wedding is one of a kind. We are able to customize your wedding and provide an earthy, vintage, rustic and chic farm style experience without breaking the bank. We have a number of different venues to cater for any size event, the authentic wooden barn can seat 50-120 guests or the large pack-house which can host parties of up to 300. Our meals are delicious as everything is freshly prepared with extra care using veggies and herbs from our gardens. Our experienced team will tailor-make a unique farm wedding experience for clients who want something different. From an indoor or outdoor ceremony to various reception options, the choice is yours. 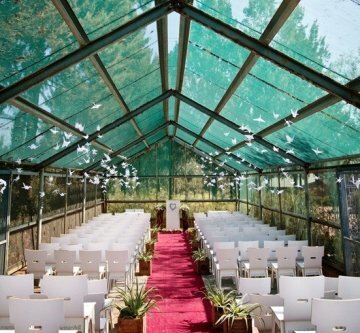 We are able to customize your wedding and provide a truly memorable service. We are able to assist with photographers, florists, musicians (for live music). Rosemary Hill can accommodate up to 20 guests. For the bridal couple we have a charming thatch cottage, surrounded by beautiful trees with abundant birdlife and breathtaking sunset views. It has a spacious separate lounge and en-suite bathroom, perfect for brides to get ready on their big day. 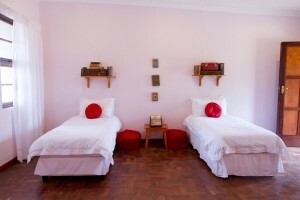 We have another 5 rooms sleeping 2 guests each, and 2 family rooms sleeping 4 guests each. Our rooms are all unique in color and theme. Our restaurant is open Saturdays, Sundays and public holidays from 09h00 to 14h00, we serve freshly baked scones, cakes, light meals and our famous omelettes accompanied by delicious bottomless coffee! On Sundays we prepare an ever-changing Buffet Lunch - perfect for those lazy Sunday afternoons. We designed and built this beautiful garden in 2011. It is 80m in diameter and has over 1km of paving with over 3000 plants. It is still growing but is already beautiful after just a year. It is used for classical music concerts, art exhibitions, wedding ceremonies and cocktail parties. Rosemary Hill is one of the very few establishments in South Africa that offers an authentic Morning or Afternoon Tea (or High Tea) experience. Rather than providing a buffet and expecting guests to help themselves, our teatime treats are freshly prepared for your enjoyment.